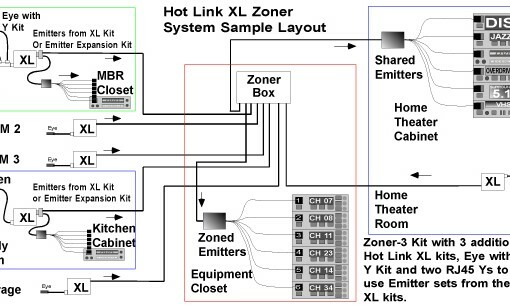 The Zoner Whole House IR Distribution System XL System repeats IR remote control signals for 6 rooms or “zones” and reduces Emitter wire clutter. With the maximum of acsessories The Zoner Whole House IR Distribution System XL can receive signals from 18 rooms and output to 36 emitters at the base station and another 36 emitters in groups of six anywhere along a Cat5 cable. Whole House IR distribution for 6 zones. Comes with 3 Hot Link XL™ Booster Systems. Broadband IR repeating all frequencies from 18Khz to 120Khz. 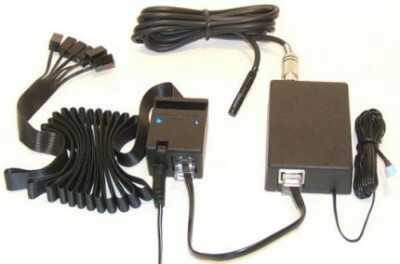 TTL output port for interfacing with other IR systems. 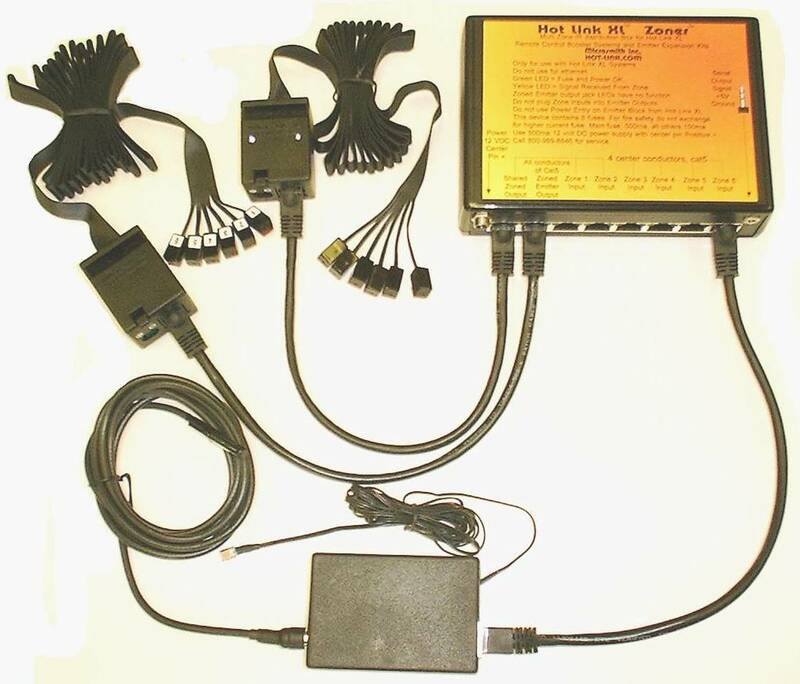 LED status indicators for Signal OK and power OK for all zones. 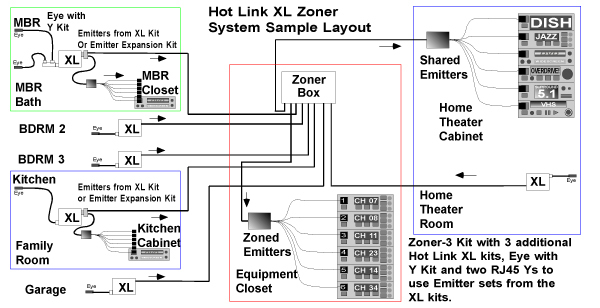 6 input zones using the Hot link XL™ via four center conductors of Cat-5 up to 200 feet from XL to Zoner™. 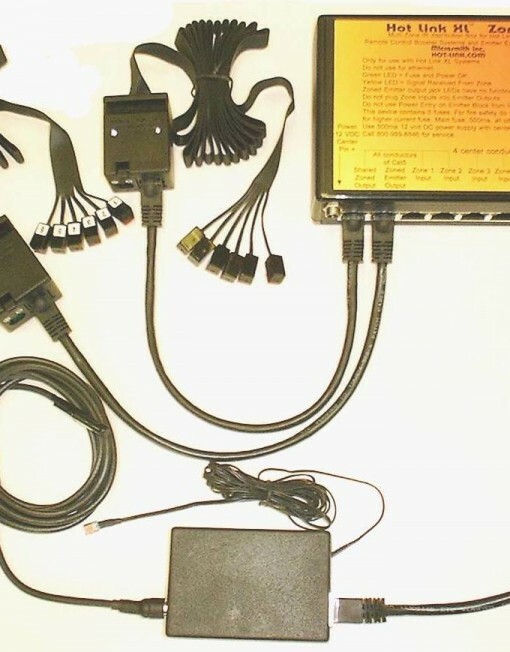 6 shared output emitters expandable to 24 emitters via 4 center conductors of Cat-5 up to 200 feet from Zoner Whole House IR Distribution System to AV gear. 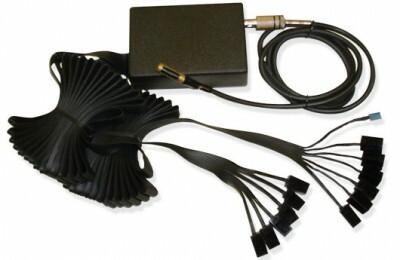 6 individually zoned emitters, expandable to 12 emitters via all 8 conductors of Cat-5 to 200 feet. Emitters can be added on Cat5 cable for local AV gear within each zone. LED indicators for all functions, power and signal for each zone and shared output, except output to individually zoned emitters. Each Cat5 cable individually fuse protected.